Start Menu – If you’re used to Windows 7, Vista or XP, you’ll be used to having a Start menu available to access your programs and settings, and to shut down your PC. Without this on your new PC, you may be surprised how different your PC feels! You can add back a Windows 7-style Start Menu by spending just $4.99 (about £3) on Start8. PDF Files – Windows 8 doesn’t come with Adobe Reader installed – it uses its own PDF reader which has very few features and which (most people) don’t find easy to use. You can download and install Adobe Reader or – even better – PDF X-Change Viewer which has lots more features and is also free. Opening pictures (JPG, TIF, ….) 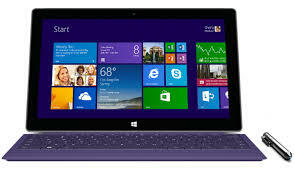 – Windows 8 uses its own picture viewer which which has very few features and which (most people) don’t find easy to use. Many of my clients download and install Picassa which has lots more features and is also free….. Opening music (MP3, AAC, …..) – Windows 8 uses its own music player which which has very few features and which (most people) don’t find easy to use. If you used Windows Media Player on your previous PC, you can still use this by changing the “association” of these files to Windows Media Player instead.